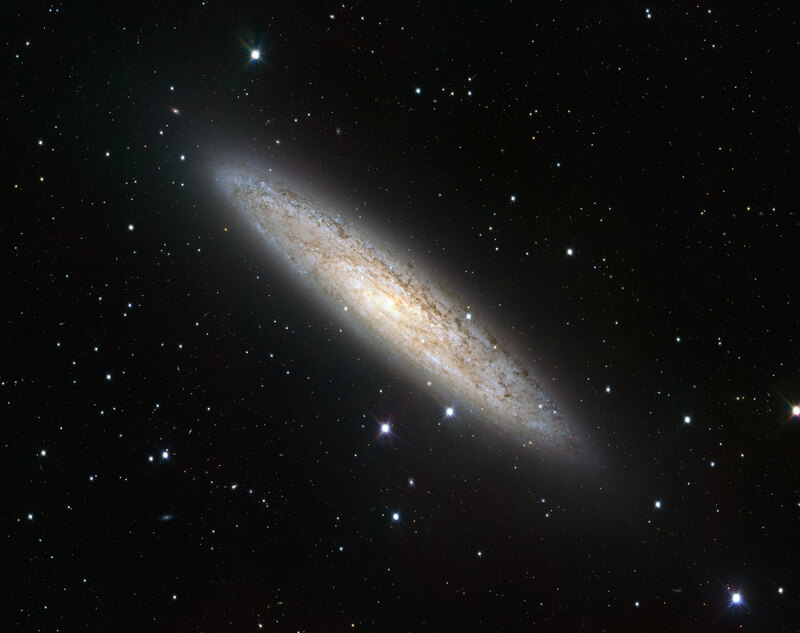 The European Southern Observatory’s VLT Survey Telescope has captured the nearby spiral galaxy NGC 253 in sharp detail. According to scientists this new portrait is probably the best wide-field view of this object and its surroundings ever taken. Galaxy NGC 253 is located about 11.5 million light-years from Earth in the southern constellation of Sculptor. The shimmering galaxy is often simply called the Sculptor Galaxy, but because of its shape, it has also earned the nicknames Silver Coin or the Silver Dollar Galaxy. NGC 253 is one of the brightest galaxies in the sky after the Milky Way’s galactic neighbor, the Andromeda galaxy. This makes it easy to spot NGC 253 using binoculars. Astronomers have labeled NGC 253 a “starburst” galaxy because of the rigorous star formation taking place. This image of the galaxy was taken during the VST’s scientific verification phase, which is when the telescope’s scientific performance is checked out before it enters full operation. Astronomers are combining data from the VST with infrared images from ESO’s VISTA telescope, also at the Paranal Observatory, to identify the younger generations of stars in NGC 253. ESO officials said that the zooming into this new image of the spiral galaxy uncovers star-forming regions in the spiral arms of NGC 253. The picture also reveals a rich tapestry of more distant galaxies in the cosmos.